We’re all so busy and virtual messages are much faster, I agree. But real cards, or real stationery are just so fun. They are, without a doubt, smile provoking. Coming home to a mailbox stuffed with something that isn’t a bill is one of life’s greatest small pleasures. So I’m trying to get better at this dying form. I’ve been searching for the perfect stationery but haven’t found theone yet. However, while perusing Etsy, I did come across these amazing wax seals. I think I loved wax seals before I even knew what they were actually for. I’m not even sure when people started using this ridiculously pretty form of sealing but jeez, they totallyunderstood the whole art of letter writing. A real letter AND a beautiful adornment on the envelope– perfection! That is, without a doubt, worthy of two smiles. The sealing and stamp kit I found on Etsy allowed you to choose one initial and offered 3 font options. The shop (Black Market Intl) also sells stamps you can fully customize (would be perfect for sealing wedding invites or even a company logo), wax in 23 colors and even rubber stamps. The kit comes with 2 tea lights, a metal scoop, 2 sticks of wax and your stamp for $15. Shipping to Korea was $9.99. When I first found the sealing kit I expected the price to be higher so I was a little weary of the quality. 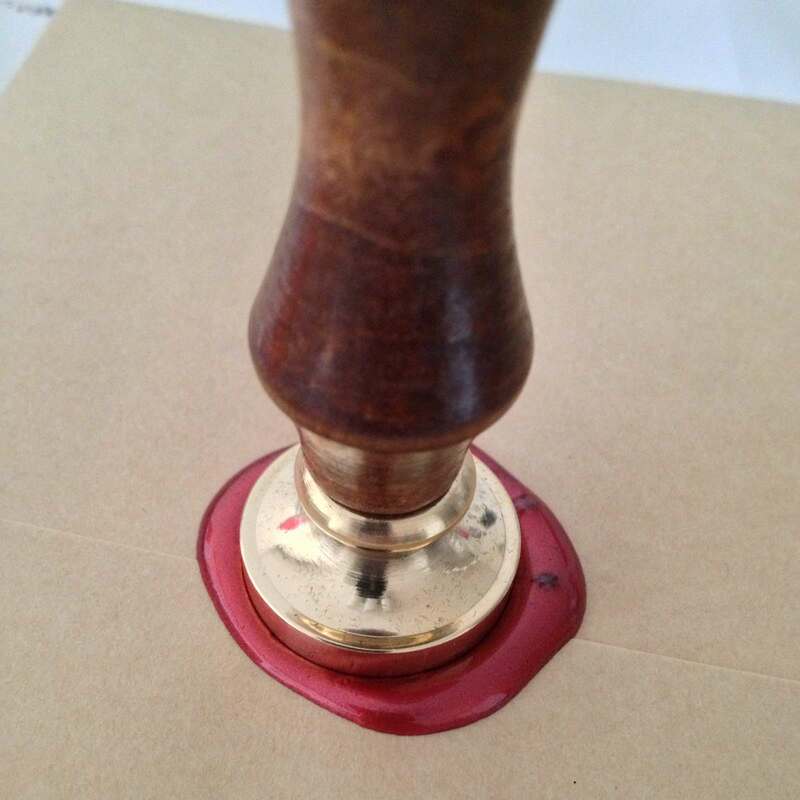 But, once I got it, I tested it out and on the first try, a beautiful stamped wax seal was created. It was so easy and came out flawless. I was seriously impressed. I’m so in love with this look. I wanna put a little wax seal on everything now! I really have the extra urge to start on all those letters now. Buy a stamp/seal kit. They are timeless, unique, and just so darn pretty. You won’t regret it.